Controlled long term open evaluation studies will be applied, if clinical trials are not feasible. Particularly, for the study of rare events, such studies have been published. 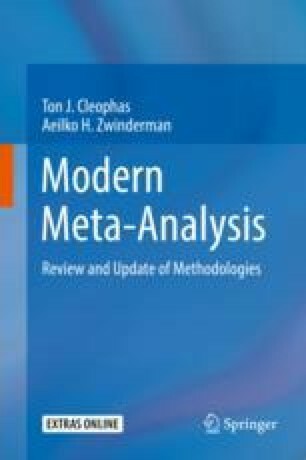 In the current chapter two open evaluation meta-analyses from our group will be reviewed. The first meta-analysis was homogeneous and robust. The scientific method was helpful to confirm its prior scientific question. The second meta-analysis was different. It only included studies either performed by internists or by pharmacists. The null-hypothesis was: no difference in outcome between one study and the other. In this meta-analysis heterogeneity was a benefit rather than pitfall, because the null-hypothesis was no heterogeneity, that, hopefully, could be rejected.